Joanna trained at Edinburgh College of Art. 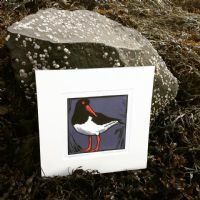 She works from her studio close to Strangford Lough, where she is inspired by the native wildlife. Her range of gift and homeware draws upon her printmaking and graphic design experience. 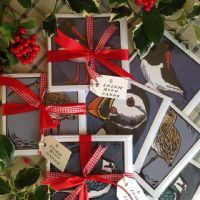 The designs are cut into lino, producing striking images that are hand printed and used to produce a range of products such as cushions, cards, and prints.